As a Personal Development Coach, I often have people ask what the secret is to a successful and happy life. Truthfully, there are many different aspects that all have to work in tandem to achieve these goals. While most people rightly assume that a good environment and stable mental health are big components, many people forget about the effectiveness of good physical health. 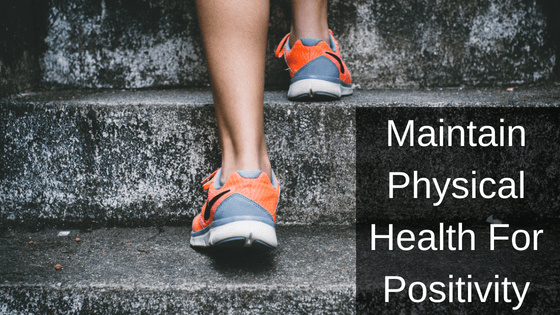 Today, we’ll look at a few parts of physical health and determine what they can affect and how we can maintain good health. Everyone knows that a well-balanced diet can subdue diseases, but what you eat affects your mind, too. Eating a diet composed of a few of the same foods can mean a lack of important vitamins and minerals. This problem is exacerbated if most of the foods you eat are full of sugar, are greasy, or contain little nutritional value. A lack of nutrients can leave you feeling lethargic, leave you exposed to illness, and in extreme cases, can cause conditions like scurvy. The best way to combat these problems and others is to make sure you eat a colorful, varied diet that includes fruit, vegetables, protein, and fats. While dairy and grains can provide nutritious value, there are alternative diet options that may suit people with food allergies or diet preferences. The same goes for fish, which are recommended to be eaten for their Omega-3 fatty acid content. Omega-3s can be found in other foods, so those who are allergic to fish or may not want to eat it can find an alternative somewhere. While diet helps keep your body energized, exercise makes sure your body is in working order. Daily cardio exercise can strengthen your heart muscle, which helps to prevent heart disease and strokes. Exercise, alongside a healthy diet, can also help to maintain a healthy weight, reducing the impact of obesity, diabetes, and joint conditions. On top of these benefits, exercise also has been shown to increase people’s focus and energy, so exercising first thing in the morning is a great way to start your day. If you have medical conditions that cannot be cured, it is crucial to take care of them and not let their care slip by. Chronic conditions, such as diabetes, have to be monitored regularly and require a specific lifestyle for health. Not taking care of health problems is one of the quickest ways to enter a bad mood and feel physically and mentally terrible. Before you can work on yourself and your goals, you have to make sure your body is up to the task. Just be sure to consult with a doctor before trying any new treatment methods. Maintaining good physical health will help you to be more positive. The release of endorphins when exercising helps you to stay happy. Having more natural energy from food will help you get more done, leading to a sense of accomplishment. And nothing can help you improve your life if your body is struggling to fight a disease you are not treating. By maintaining good physical health, you can start to improve your life today.